This 5 reel and 40 pay line video slot is based on transforming alien robots looking for peace. The Battle for Cybertron began before the Transformers arrived on Earth with the Autobots. The high quality graphics, animations and sound effects really makes you feel like you are part of the game, and offers loads of exciting entertainment. This slot is better suited for the high rollers as the bets range from 60p up to a maximum bet of £600 per spin. The "Purple Cube" is the Wild and substitutes all icons except for the Scatter and helps to form winning combinations. The "Cybertron" icons are the Scatter and will activate the Free Spin Feature when 3 of them land anywhere on the reels simultaneously. Once this feature has been activated, you will get to choose one of the four Transformers. 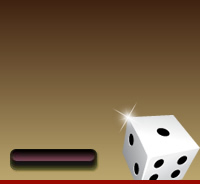 Each one features a different combination of Multipliers and various Free Spins.